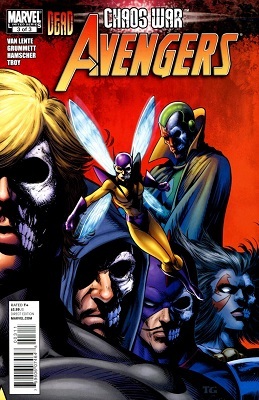 Final issue! 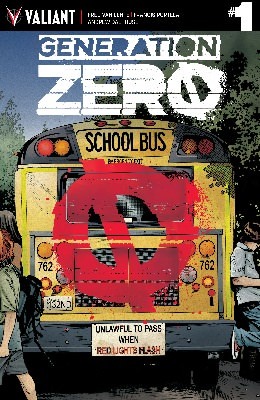 Last time: Adele got herself superpowers and proceeded to demolish Generation Zero, while Keisha managed to locate the source of all her town's weirdness. 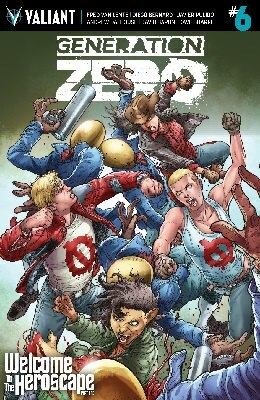 Last time: Animalia was badly hurt and one of the Zygos twins was kidnapped. 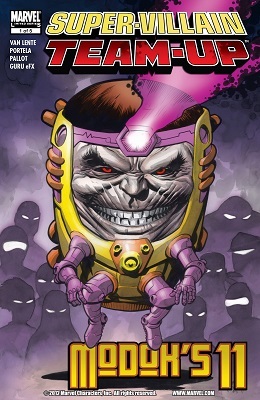 Gamete the Super-Fetus remains creepy. 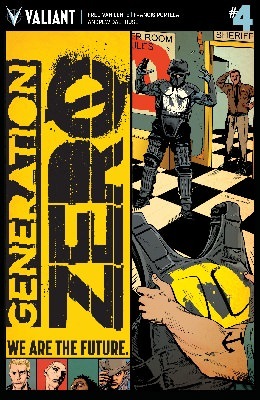 Previously: Generation Zero kidnapped a cheerleader to interrogate her. 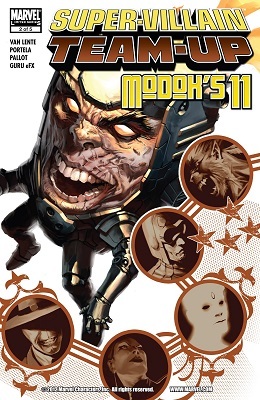 One of them is a mind-controlling fetus. 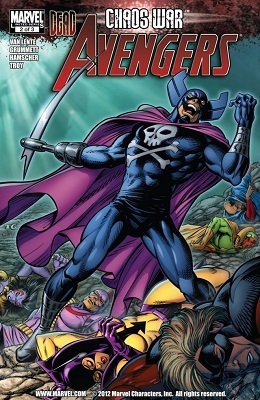 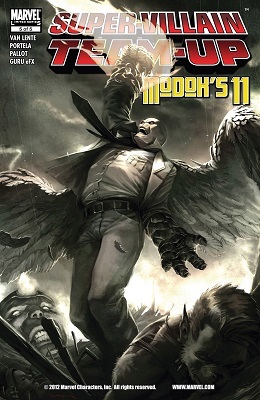 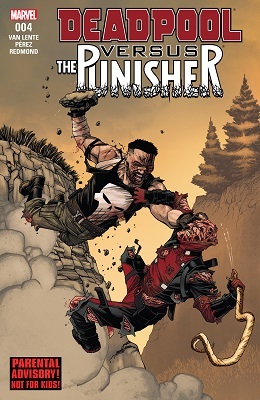 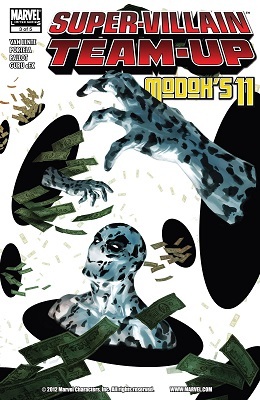 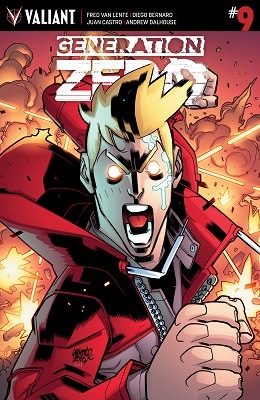 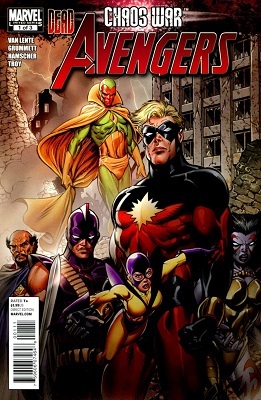 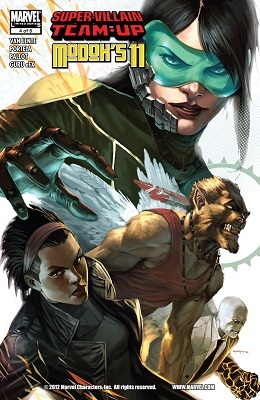 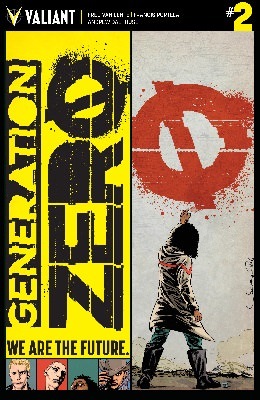 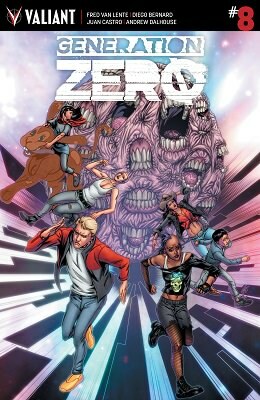 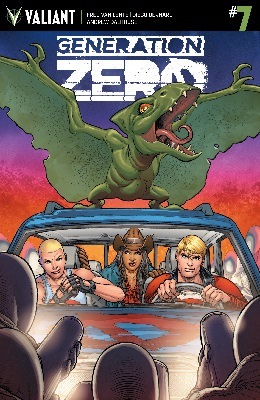 Generation Zero were pre-existing characters in the Valiant Universe, a group of powered children and teens raised as human weapons before escaping. 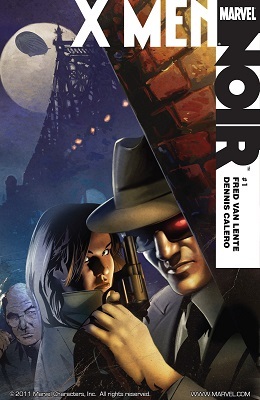 A couple years back, they were spun-off into their own series by Fred Van Lente after he finished up "Ivar, Timewalker". 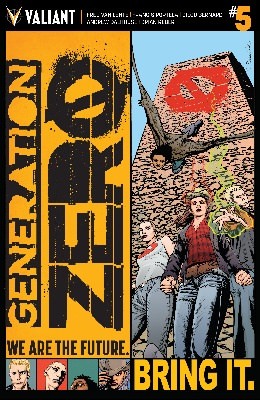 While Generation Zero was originally fairly generic (with the exception of Animalia), Van Lente's version of the group dials up the comedic weirdness to something I found quite enjoyable.